If Gemstone Caverns is in your opening hand and you're not playing first, you may begin the game with Gemstone Caverns in play with a luck counter on it. If you do, remove a card in your hand from the game. Tap: Add (1) to your mana pool. 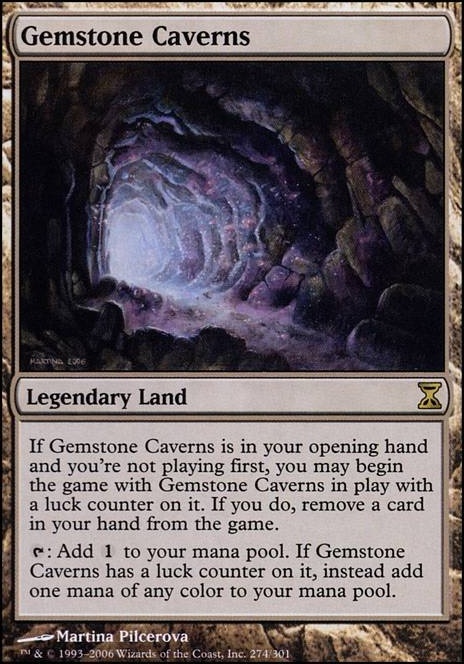 If Gemstone Caverns has a luck counter on it, instead add one mana of any color to your mana pool. 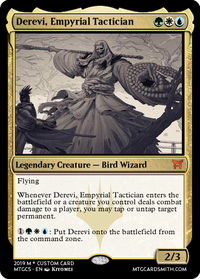 Demarge something I didn't consider was running Gemstone Caverns to make a faster Bridge/Chalice viable since not playing red makes me lose out on Simian Spirit Guide . Thoughts? other wants are listed in my binder. What is Gemstone Caverns used for in this deck? 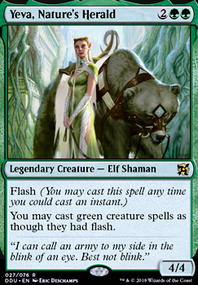 I'd been tossing around some interactive green cards & noticed Tribute to the Wild I only know your local wondgrace deck as part of the meta, Inkmoth, but if you also play against any other staxy decks - they'll often push an early rule of law / rhystic study. 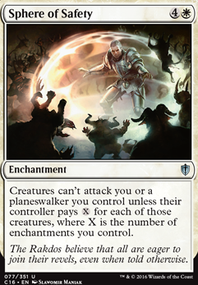 At best this removes 3 issues at 2 mana. 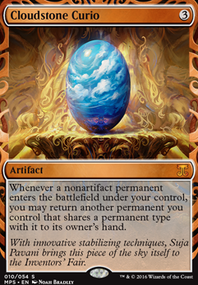 At worst you're in your opponent's first upkeep and nobody has any permanents in play bar you with Gemstone Caverns (definitely exiling ESG for maximum t0 impact). 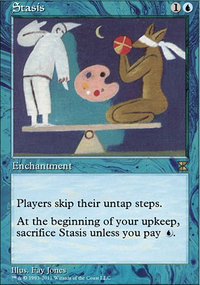 A more realistic way this pans out is removing 1 stax piece & 2 mana rocks. Let me know what you think.